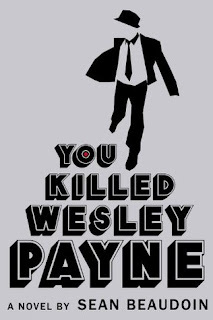 You Killed Wesley Payne is an interesting, funny and somewhat parodish book about pulp mysteries, and honestly I found it pretty interesting. I'm planning on rereading YKWP again to understand a few misconceptions, but overall this is an entertaining book! I'm not too quick to read mystery (pulp, excessive) books, but maybe it's the cover that gotten me interested. The premise of the story is ideal: 17 year old Dalton Rev is an amateur wannabe-detective who solves crimes/mysteries on his detective website. Dalton decided to solve Wesley Payne's murder requested by Wesley's sister, Macy Payne. Police claims Wesley committed suicide, but is it so? Only one way to find out... at Salt River High. Throughout the story we began to understand Dalton and his main purpose for being a detective, his personal 'whys' and explore Dalton's homelife when not in 'detective' mode. I like Dalton's reasoning based on Lex Cole(man? ), main character of a detective series within this book and I gotta say... it's amusing. I'm sure I would base half of my logic/reasoning on my favorite character! Other characters besides Dalton are his family, 'friends' and cliques that runs predominantly in this mystery book. Salt River High is the main focus resolving Wesley's murder, but not only that, the crude adults and students serve a plot, too. The main cliques that are 'suspects' are Balls and Pinker Caskets (Football seniors verses Gothic emos). These two clique runs the school, but with two big kings urging to cut each others throats to be the only one remaining on top, it's up to Dalton and his quick thinking to resolve this brewing battle AND use the cliques to resolve Wesley's mystery. I liked the interaction, it's sharp and cut clean, 'to the point' I will say. The bonding is brief, but it gives up a taste of emotions from each character. Personally, I like Kurt Tarot, Newspaper, and Chuff... I don't know how to explain it, but I wanted to know more about those characters, unfortunately, we don't have much characterization for them :( but of course, this is about Dalton and not those three. I don't have any personal issues with this novel, to be honest. My gripe about this novel is too many nicknames and that makes it difficult for me to keep up. Using odd phrases that I have no clue what it means...- guess that's why we have a specific dictionary for them, eh? I sincerely enjoyed this book, and I recommend giving it a read! At least, for a 14+ audience. There are a few scenes that are a bit, 'touchy', so keep that in mind. Don't mind too much about the swear words, it's actually hilarious how it's alternated into something wacky. Anyway, it's a humorous book to read for the sake of entertainment. Want to check out You Killed Wesley Payne? Find it here on the CMRLS catalog and place a hold on it! 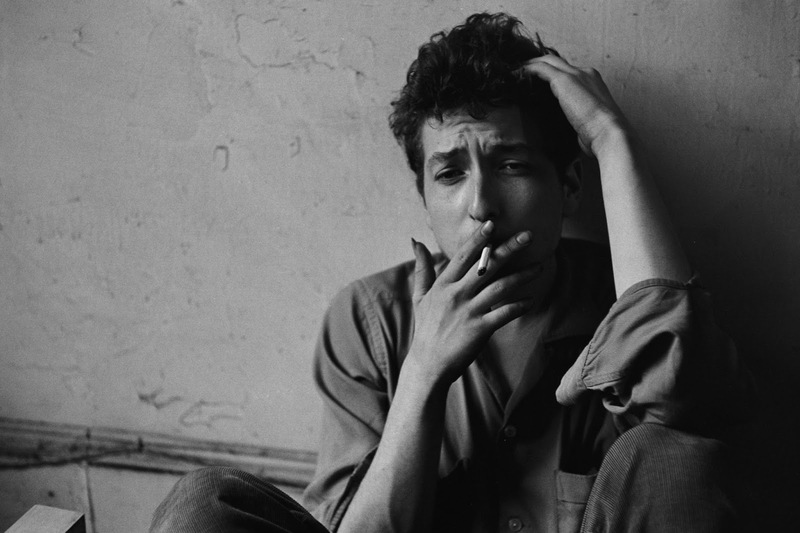 This week I'll be talking about Bob Dylan. 1) Because poetry—the good, the bad and the ugly. 2) Because he didn't let anyone tell him what to do. 3) Because he made folk-rock a thing. 5) Because he's 74 and still freaking touring. Plus a thousand more reasons times infinity. It's 7:30pm, so I'll make this short and sweet. So without further adieu, here are my top five favorite Dylan songs. I could expound upon these and give you a glimpse of my perspective, but I'm just going to leave it at a list today. Because the freaking songs are lyrical and musical masterpieces and speak for themselves. If any of these catch your eye, head on over Freegal and download them, or check out some of Bob Dylan's other music! All you need is your library card and pin number, and you’re good to go! First and foremost, this book was pretty awesome. 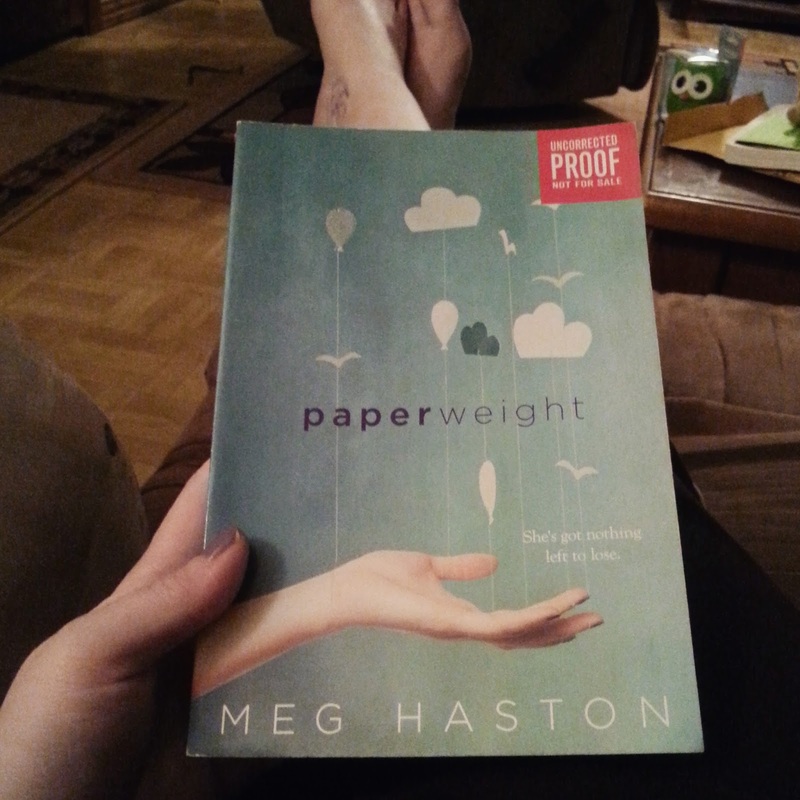 I was not expecting to love this book as much as I did. My favorite part about this book is that it kept me on my toes as to what was going to happen next. Throughout the book there were so many unexpected turns that blew my mind and only made the book more addicting. I have many things that I enjoyed throughout this book starting off with my favorite character. My favorite character would have to be Harley. I loved how compassionate and artistic he was. Another thing that I enjoyed about this book was its special type of curse words. (Yes, I know that sounds weird and kind of morbid of me to say.) The words such as “frexing” and “shite” were used quite often throughout the book and I enjoyed them because you really got a feel for the characters’ attitude and the culture they were raised upon on their ship, Godspeed. I also loved the dynamic relationship that each character had with one another. I enjoyed how the author put tiny details throughout the book that were cleverly tied in together at the end. I am not going to give anything away but once you read it you will understand! I highly recommend it! Final verdict: I give Across the Universe an 8 out of 10. Want to check out Across the Universe? Find it here on the CMRLS catalog and place a hold on it! 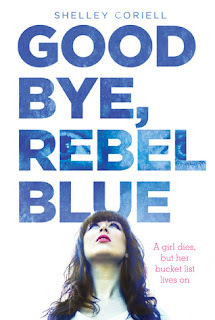 Rebecca “Rebel” Blue has a serious attitude problem—at least, that’s what everyone tells her, so it’s no surprise when she ends up in detention. What is surprising is the presence of Kennedy Green, one of the biggest do-gooders Reb has ever met. Their assignment? To reach deep into their souls and create their ultimate bucket lists. Reb doesn’t take it seriously—that is, until Kennedy dies in an accident and Reb feels compelled to finish Kennedy’s bucket list, one good deed at a time. In the process, Reb realizes that her loner ways no longer suit her and finds herself reaching out to her family and potential friends. But how can she connect when she keeps screwing up everything good in her life? This book practically flies by. It’s really well-paced and the characters are delightful and multilayered, which I wasn’t expecting. Rebel herself is great because her constant battle between wanting to connect with people and wanting to keep herself guarded is something a lot of us can identify with, and her dry voice allows that inner turmoil to simmer without boiling over into silliness. Her cousin Pen could have easily been written as a vapid, shallow prom queen, and I’m really pleased that Coriell gave Pen and the rest of Reb’s family room to be complicated instead of mere complications for Reb’s journey. My love for Reb’s one and only friend, Macey, kind of snuck up on me (bless you and your pie therapy, Macey). Then there's Reb's unlikely love interest, Nate. He's cool and all, but his family is actually way more fun than him to read about, particularly his 10-year-old sassy fashionista sister, Gabby (or his youngest brother, who solemnly tells Reb every time she curses that she’s going to hell). The one thing I really wish we’d had more of is Kennedy herself. I understand that her purpose in the story is to guide Reb into being a better person, but I wish we’d gotten more insight into her life and personality instead of her death just being used as a plot device. I’ve seen this book compared to Jay Asher’s Thirteen Reasons Why, and while the plot is somewhat similar, the tones of both books are wildly different. Mainly because Thirteen Reasons Why is a great book, but also a bummer. This one leaves you happy and satisfied, which is why I give it a solid B+. It’s really fun with some heavy moments, but it’s very well-balanced and the characters are spot on. Check it out and tell me what you think! Want to check out Goodbye, Rebel Blue? Find it here on the CMRLS catalog and place a hold on it! 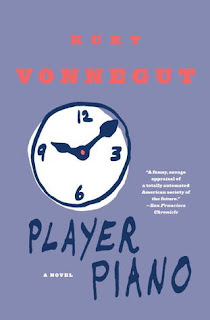 I first read Player Piano a couple of years ago immediately after I first read Slaughterhouse-Five, and from what I remember at the time I was just like.. meh. But I picked it back up a few days ago and breezed through it. And I was reminded again of how it's pretty much a 1984 comedy. The short version? A man vs. machine sketch. And while that's been done time and time again in science fiction, I don't care. It's still relevant. It's this futuristic story about engineering manager, Paul, who is trapped in a world in which the average joe basically lives by the question, "Why the hell do I have to work?" Although he lives the good life of the high society, he starts to feel guilt for the others and decides to quit and help the masses fight against them. However, in the end he discovers that even when they destroy what they hate the most - the machines - the human spirit of innovation just begins all over again until it inevitably evolves into chaos. It's a hard pill to swallow because it reminds us that humanitarian efforts eventually all return to dust, but it's the fleeting moments of courage and rebellion and morality and liberty that make it worth all the while even still. It's hard, but it's truthful. And ultimately that's what I crave. Rereading it, I noticed elements I didn't necessarily catch the first time - yes it's old as balls and yes it feels a little unfamiliar in some parts because it's obviously catered to America moving towards a more automated society after WWII, but now I see a new relevance: we are experiencing another movement led by the Internet of All Things and all the pricey wearables. And if you can believe the words of Ray Kurzweil, eventually we will become the machines - a hybrid comprised of flesh and titanium. I did some research after reading it this time, and I found out it was actually written after Vonnegut spent about three years working for General Electric in Public Relations. I can't help but wonder if it was there that he observed how managers and engineers were held in such high regard, influencing the world through machine. Which at this point in time was still a fairly new idea - especially in postwar America. I recommend this book because I think there are elements that are timeless in it. Even though it was mainly progressive during the time it was written, again it's still relevant and brilliant. You'll (hopefully) laugh through his incessant dark humor like I did, but watch out. The next time you are chatting it up with Siri about reminding you to drop a deuce, you'll shudder. Long live the Ghost Shirt Society! Rating: 7 - Not his best and because Slaughterhouse-Five has to be superior. 1. Repo Man - From God Willin' & The Creek Don't Rise, this is the first song on the album. It's also credited to Ray LaMontagne and the Pariah Dogs due to the many artists that collaborated with LaMontagne on it. I love this song because the thing that screams out to me most on it is the confidence and vigor in the lyrics, and I think it's relevant to many people at one point in their lives. 2. 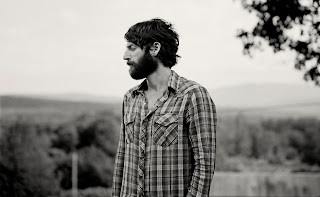 Let It Be Me - This is one of my all-time favorites of LaMontagne. It has all of the elements of his music that I love so much - the folk, the soul, the ability to achieve smoothness and rasp simultaneously, not to mention it's just a beautiful and sweet song in itself. It can be found on his third release Gossip in the Grain. 3. Like Rock & Roll and Radio - This song is also found on God Willin & The Creek Don't Rise, and LaMontagne slows it down a little bit on this one. It's soothing, reflective, intimate and emotive. 4. Trouble - Most people know this song as it is the single and the title from his debut album Trouble. You don't have to state the obvious to know that most of his songs focus on love and relationships, so it's not really necessary to dissect what this is about but rather than to simply sit back and enjoy. 5. Supernova - A bit different in style from what LaMontagne usually goes for, this song is catchy nevertheless. It's the single and title from his newest release Supernova. Everyone can appreciate a good pop ballad, and this satisfies that. If any of these catch your eye, head on over Freegal and download them, or check out some of Ray LaMontagne's other music! All you need is your library card and pin number, and you’re good to go! Shout out to the wonderful Little Shop of Stories for letting me take this ARC! Check them out if you’re ever in Decatur, GA! Paperweight is an extremely difficult book to review. It’s also an extremely difficult book to read. I’ve never had an eating disorder and it was hard for me to read this. I can’t even imagine how triggering this book could possibly be for someone who’s had (or has) an eating disorder.Paperweight makes you uncomfortable. It pulls you completely out of your comfort zone and doesn’t hold a damn thing back. It puts everything out there in the most raw and honest way possible. And it’s difficult to read it because of that. But it is so worth your time. Haston has done a wonderful thing with this book. She’s created Stevie, a girl with Anorexia Nervosa, who believes that her disease makes up everything she is. Again, I’ve never had an eating disorder nor have I ever been in a treatment facility. But I feel like Stevie’s story is authentic. It feels real. Stevie doesn’t miraculously get 100% better. That’s not life. The way she changes is subtle, believable. Honestly, Stevie is unlikeable at times. She’s selfish and mean, but her voice felt right. If I had to describe this book in four words, they would be: Honest. Real. Emotional. Painful. This book is brutal, you guys, and I think you have to be in a certain emotional state to read it. I’m still not sure how I made it through certain parts, but I made it through because Stevie did. The bottom line: Paperweight is a hard one. It’s hard to read and hard to review. It’s brutal and honest and raw, and I definitely don’t think it’s for everyone. It could be potentially triggering if you’ve dealt with (or are dealing with) an eating disorder. Stevie’s voice is one to listen to though. She’s honest and real, and that’s what scares me the most. Rating: I honestly don’t know how to rate this one. I’m going to go with an 8, but not for the freaking fantastic, but rather because it’s memorable.